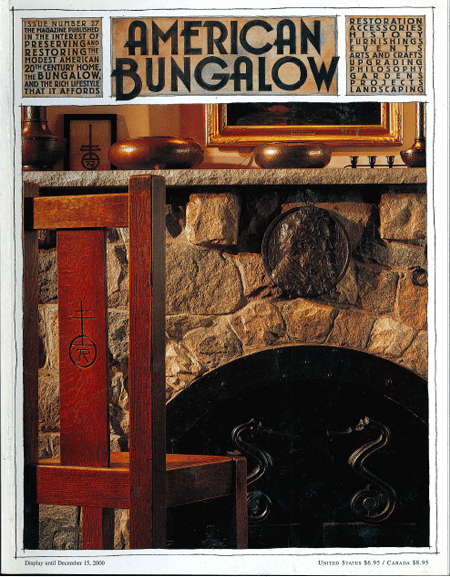 The Elbert Hubbard-Roycroft Museum is a bungalow filled with Roycroft rarities. Where to go and what to look for when searching for your bungalow’s past. Two modern Arts and Crafts kitchens in historic Minneapolis homes. Arts and Crafts-era artists who brought plein air painting to the West. A lovingly restored Colonial Revival hotel in the heartland. Montana’s bungalows are being rediscovered by young and old alike. Prepping AB’s bungalow for a new paint job proves to be a challenge. A little ’50s house that really grew up. Kevin Hicks and Scott Draves find rural Wisconsin just the right place for an Arts and Crafts pottery. A homey soup from the Pierpont Inn. A return to authentic bungalows might just revitalize the future of the American home.